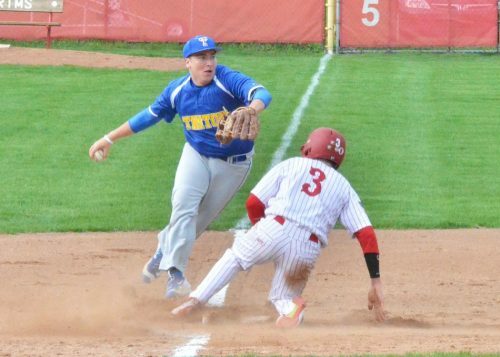 PLYMOUTH — Thursday evening’s game at Bill Nixon Field was one that the Triton baseball team would like to soon forget. 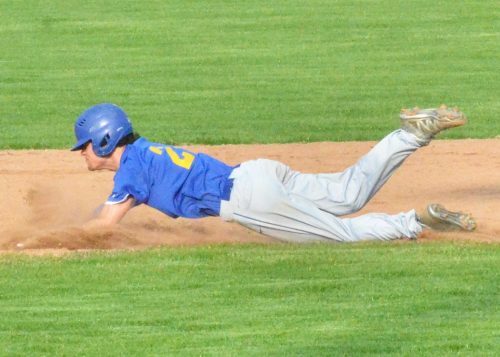 The young Trojan squad littered its contest with mental mistakes that led to a 10-0 thumping in six innings by Plymouth. The Trojans had four errors in Thursday’s game with the Pilgrims and would record three unearned runs. Plymouth was consistent early on, scoring one run in each of the first two innings. 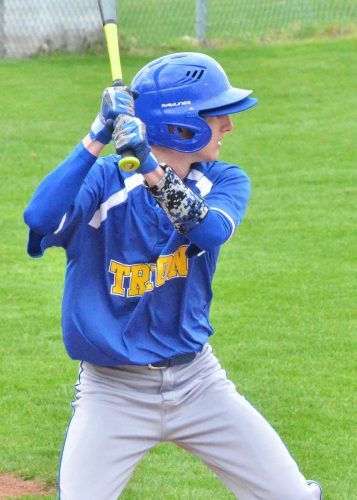 The Trojans would not get their first hit until the top of the third when Lucas Newman smacked a leadoff single. Unfortunately Newman would be caught stealing later in the frame to end any scoring hopes for Triton. Once the two teams reached the bottom of the third, things really got ugly. The Pilgrims benefitted from three hits, two Triton errors, two base on balls and one hit batter in the inning to hang five runs on the board, taking total control of the game. Grant Stuckenborg, Jackson Lee and Jesus Luva all had RBIs in the frame for Plymouth. The Pilgrims came up empty after getting a leadoff double from Stuckenborg in the fourth inning. 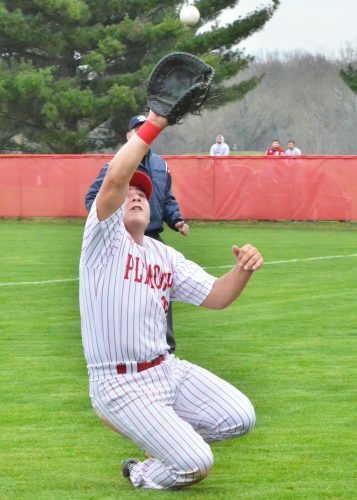 Triton tried to claw back in the top of the fifth after getting a single and stolen base from Nate Flenar and later a base on balls from Newman, but both players would end up stranded. 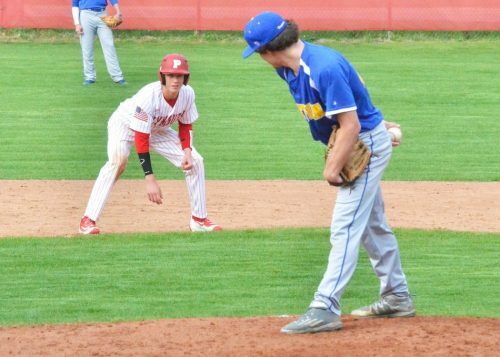 Plymouth was once again held scoreless in the bottom of the fifth. Adam Stevens reached on a walk for the Trojans in the top of the sixth but would also end up stranded. The Pilgrims finally put an end to things in the bottom half of the inning by getting three more runs to enable the 10-run rule. The game ended on a “walk-off” walk on Benji Nixon with no outs and the bases loaded. Nathan Flenar slides safely into second. Luva, Nixon and Cole Filson all had two RBIs each for the Pilgrims while Stuckenborg and Ezra Winkle led the home team with two hits each. 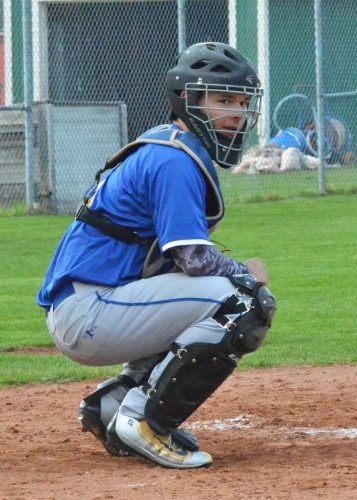 Noah Pesak, Colten Schuler and Nixon all had a stolen base but it was Cam Dennie that led the way for all players with two swiped bags in the game. Plymouth had nine hits in the game and left nine runners stranded. Triton left three stranded in the contest and were held to just the two hits, one each from Flenar and Newman. Flenar had the the Trojans only stolen base. Flenar also took the loss on the mound for Triton, putting in three innings of work, striking out three batters, walking five and gave up six earned runs on 82 pitches. Ryan Snyder threw 32 pitches in relief during the final three frames. 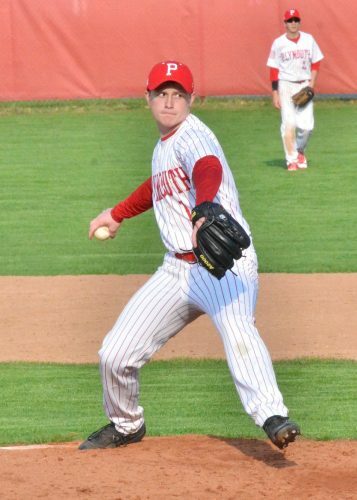 Nate Nixon got the start on the mound for Plymouth and gave the home team five solid innings. Nixon surrendered two hits, one walk, gave up no runs and fanned seven batters on 70 pitches. Triton (2-2) has now dropped its last two games and will look to right the ship this Saturday when it hosts West Central in a double header. Nate Nixon went five strong for Plymouth giving up no runs and striking out seven Trojan batters. Max Slusser looks to the dugout for the pitch selection. Adam Stevens fields a ball behind third base. Plymouth’s Noah Pesak locks eyes with Triton’s Nathan Flenar before a pitch. Lucas Newman picked up Triton’s first hit of the game Thursday night.